Recycling is highly beneficial for the environment, and is something you can very easily start doing by making a few small changes to the way you deal with your waste. Recycling doesn’t actually take up a great deal of time, and it means you are doing your bit for the planet and future generations. The key to being a successful recycler is to take it one step at a time and build up the contribution you make. To start recycling successfully, you can easily find out which products in your house or business you’re able to recycle. Paper-based items are invariably recyclable, and most small metal items such as cans can be recycled too. It’s very easy to check if an item is recyclable with a quick Google search. Most places these days have recycling as part of their weekly or fortnightly refuse collection. In some areas the recyclable material all goes into the same waste bin, separated from domestic refuse. Householders are expected to separate paper, plastic and metal into separate containers. Glass bottles can go in your recycling but in some areas you can take them to a bottle bank, usually sited in the grounds of one of the major supermarkets or on a retail park. E-waste refers to those items that have a link to electricity, such as batteries, old light bulbs, defunct computer monitors, TV sets and other broken electrical items. These should not form any part of your household waste collection. Find out from your local authority where the closest recycling centre is for your area. You can find helpful recycling details via here. It’s Going Well, What Next? So, your household or businesses recycling is working well but what else can you do? Each person can usually recycle at three levels, at home, in the workplace and throughout you local community. Starting a workplace scheme will up your green credentials. 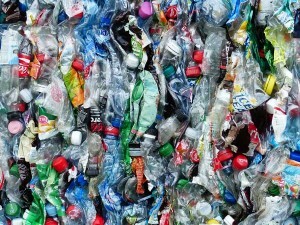 Plastic bottles are a good thing to start with. Think of all those soft drinks and mineral water bottles that are brought into your workplace each day. Find somewhere they can be deposited when empty and a waste company that can collect them from you on a regular basis. Encourage your colleagues to enter the spirit of the initiative. Find work related items which you can recycle, such as printer cartridges. Return them to the manufacturer or take them to your local collection point. Manufacturers often encourage this practice. Be on the lookout for recycling schemes in your community and join in. You can also look specifically at trying to buy items which are recyclable, or are recycled goods, and today many of us likely already buy recycled materials without even realising. More and more takeaways and fast-food companies are using food containers made from recyclable materials which then go on to be recycled again and again. Take every opportunity to re-use things. Buy a bag for life and remember to take it shopping with you rather than buying a bag every time you go to the shops. If you have a piece of furniture or electrical items that are functional, but you simply don’t want anymore, find someone who can use them, such as another family member, friend, neighbour or your local charity shop. You can even try selling them for a few pounds at a car boot sale. If you have ever been to one you will know that there is a home for everything, no matter how old, worn or odd it might be.